Suffering from chronic knee pain when running? Then this article is perfect for you. Our knees perform a marvelous job. As one of the body’s main weight bearing joints, hey’re in charge of our freedom of movement, bearing our weights and, carrying us forward, and keeping our balance. Said otherwise, the knees are the cornerstone of every human movement, helping you move, walk and run. Without good knees, you’ll be in a world of troule. The knee is made of many vital structures and joints, any of which can be, sooner or later, be injured. 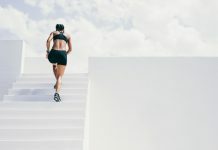 The high impact nature of running (and doing it the wrong way) can result in muscle strains, soreness, inflammation, and severe injuries to these joints, ligaments, and cartilage. Therefore, it’s no surprise that the knee is the most common site for injuries among runners (and athletes from all backgrounds). In fact, knee injuries make up roughly 50 percent of all sports injuries, according to research. And these injuries can affect anyone, from joggers who are just starting out, to elite runners who push themselves a bit too hard. In other words, if you’re suffering from any knee pain when running, then know that you’re not alone, buddy. That’s why today I’m going to share with you some of the most common reasons for knee pain when running, along with practical measures to take to limit the agony. 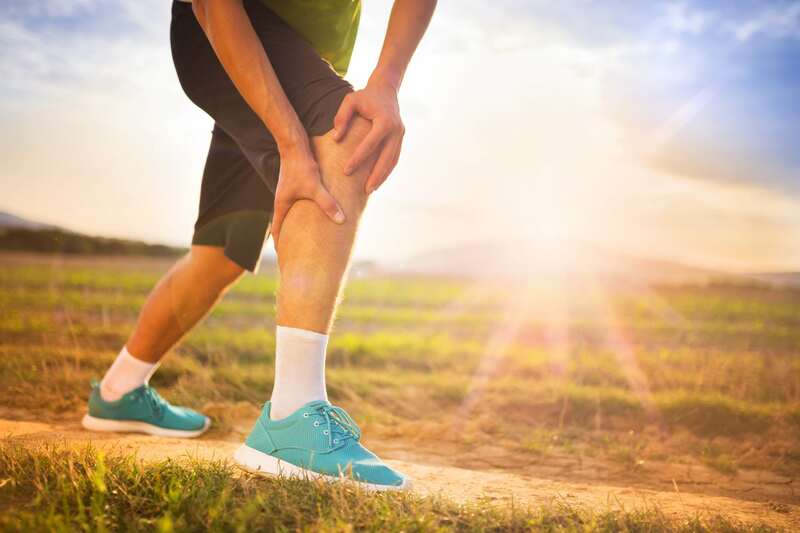 Also known as patellofemoral pain syndrome in the medical circles, by far, this is one of the most common athletic injuries of all times—accounting for roughly 30 percent of all running ailments according to research. 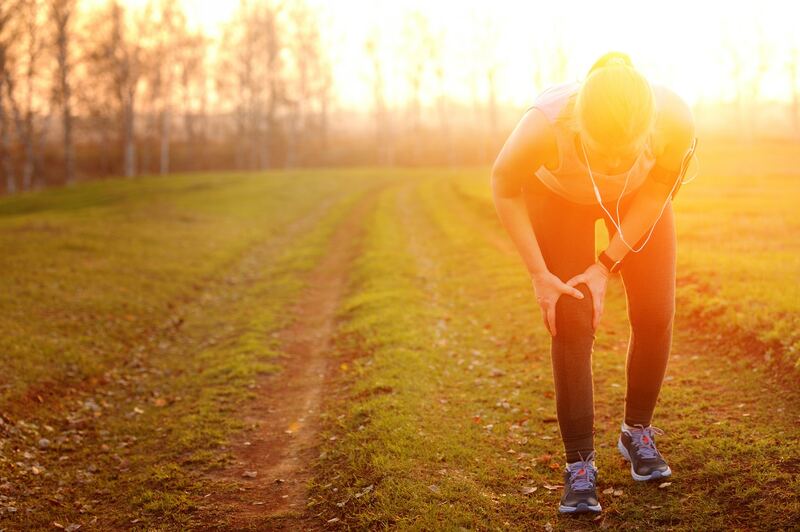 Runners knee occurs when cartilage in the kneecap becomes irritated, leading to varying degrees of pain while performing knee-bending activities, such as walking, running, biking, sitting or squatting. Runners Knee manifests as pain around and sometimes behind the patella—your kneecap. The pain is worse when running downhill or walking down the stairs. Not only that, prolonged sitting can result in soreness in the knee and some intense pain. For the most part, Runners Knee is an overuse injury. It also can be caused by biomechanical issues such as weakness in the glutes or hip flexors; bad running form; too much too soon; And improper running shoes. First of all, stop running altogether. But feel free to cross train, opting for activities with minimum impact on the knees, like swimming and yoga. You can also ice and elevate the knee for immediate pain relief. Do glute strengthening exercises on a regular basis. Plus, be sure to stretch your hamstrings. You might consider getting the right shoes for your foot type. Also, work on your running form and make sure you are running in the right pair and on the right surface. Another pretty common knee injury among athletes, ITBS happens when the Iliotibial band—which is a band of tissues that runs down the outside of the thighs, from the pelvis (the hips) to the tibia (the shins)—gets irritated, or inflamed, leading to pain in the whole region. In most cases, the pain might be sporadic and fades with rest, only to come up, sometimes out of nowhere at the same point in a run, whether it’s only after jogging for a few minutes, or at the fifth-mile marker. Most runners affected by this condition report that pain often disappears immediately after they stop running. Overuse usually causes the condition—doing too much too soon without giving the knees enough time to bounce back and recover. Your first line of defense is to take a step back from running and give your body plenty of rest. You are going to need to completely rest the tendon if you are serious about fixing it ASAP. Running through pain will only make things worse for you, both for the short and long term. 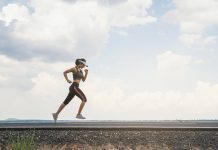 If you don’t want to stop running altogether, then you should, at least, drastically reduce your weekly mileage and ice the injured area three to four times a day. And please, do not do any type of intense running, such as hill reps or sprints. Do plenty of hip strengthening exercises, like leg lifts and bridges, to strengthen the whole area and add more stability to your thighs and knees. Also, stretch your IT band after running. Or, use a foam roller to release and stretch the IT band—especially post-run and when you feel any tightness in the area. You can also try out some deep friction massage with a physical therapist if you got a bad history of the condition. What’s more? Be sure to run on proper and develop proper running form. The condition is an inflammation and irritation of one or more of these tendons that attach muscles to the bones. Patellar Tendinitis might be the third most common knee injury that hit runners. But, it’s also pretty common among cyclists, skiers and or any athlete who engages in any type of sports that requires lots of jumping. Patellar tendinitis is typically caused by too much hill running (especially on the downhill sections), a sudden increase in mileage and/or pace, or overuse (read: repetitive strain to the tendon). Also known as jumper’s knee, this injury usually manifests as pain in front of the knee—generally between the patella and where the tendon attaches to the tibia (your shinbone). See image. The pain is made worse while running, squatting, jumping and prolonged sitting. You might also feel stiffness in the tendon first thing in the morning. Stop running altogether since running through this injury will only make it worse and hinder your recovery. Expect full recovery in a few weeks, max. Also, feel free to ice the injured area, cross-train with activities with low impact on the knee (think yoga, swimming, and the like). Stick to the 10 percent rule when it comes to increasing mileage. Develop proper running form both on the flat surface and hilly terrains. Also, do plenty of leg strengthening exercises, especially your quadriceps, and calves to prove more stability for your knees. The ankle is not the only joint in your body that you can sprain. Knee sprains are also pretty common among folks who do any high impact activities. Knee sprains occur when one or more ligaments in the knee are suddenly torn or stretched beyond their normal range of motion. Thus, any movement that overstretches and/or overworks these ligaments can result in knee sprain. Running on rugged and/or uneven surfaces, bad form, overuse, too many miles too soon, falling, etc. Swelling around the knee and mild to intense pain whenever performing knee bending or weight bearing movement. As with most injuries, at the first sign of the onset of the condition, the best course of action is to follow is the RICE method. This is going to help you soothe the pain and reduce the swelling—all of which can speed up recovery. Next, after a couple of days of complete rest, make sure to rehab your knee with some basic exercises to regain the function, movement, and strength of the injured knee. In cases of extreme pain, make sure to get yourself checked out by a doctor. Do plenty of leg strength training, especially for the muscles around the knees—mainly the quads and calves to help add more support and stability to your knees. Also, be careful when you are running—especially if do any type of trail or off-road running. Furthermore, make sure to develop proper running form and wear appropriate and comfortable shoes that match your foot type and the running terrains you are tackling. The ACL (or the Anterior Cruciate Ligament ) is one of the four ligaments that connect the thighbone to the shinbone on the outside of your knee. This condition is a tearing of the anterior cruciate ligament or ACL for short. According to my research, this is not a common injury among runners. But it’s pretty widespread among athletes who engage in sports that require sudden changes in direction, such as soccer, tennis, basketball, and the like. The condition can also be caused by a sudden twist of the knee with the foot still planted. Also, repeated stress on the knee joint can also increase the risks of an injury. In addition, getting hit on the knee is a likely cause, so is jumping and landing on a flexed knee. In case you experience intense pain with a loud popping sound during the injury, you might blame it on an ACL or MCL tear. Next, you might feel pain in your injured knee, which can range from mile to severe. Also, tenderness and swelling along the inside of the knee is another clear sign of the condition. The way you go about treating this injury depends on how severely you were injured in the first place—that’s why recovery time differs from one person to the next. As a general guideline, treating ACL & MCL tears requires a long RICE period, physical therapy, the use of a knee brace, and possibly the use of crutches for mild to moderate injuries. It goes without saying, but proper form is key to preventing all sorts of injuries, impact or non-impact, so please be sure to instill proper technique while running or when partaking in a sport such as baseball, tennis, football, soccer and the like. You can also, like I said before, add more support and stability to your knees by doing plenty of strength training. The meniscus is an elastic, C-shape rubbery cartilage that sits on both the inside and outside of the knees. This rubbery cartilage has two primary functions: (1) provide stability and (2) protect the knees from the stresses placed on it when performing knee bending motions by acting as a shock absorber. In most cases, the condition occurs when there is a trauma caused by hyper flexing or forceful twisting or cutting motion of the knee joint that leads to a tear in the meniscus. Any sudden turn or cutting motion, as well as deep squatting can lead to injury. And when it’s injured—typically torn—this stops your knee from working right. Also, meniscus tears can happen as a result of aging or arthritis. In most cases, the injury manifests as a slight knee swelling, anywhere from immediately after the onset to an hour after. If you have any difficulty bending and straightening the injured knee, you might be suffering from a meniscus tear. Also, pain is usually worse when bending the injured knee. Other signs include knee pain, popping and giving away. For small tears, opting for the RICE method is all you need to get back on track. RICE stands for Rest, Ice, Compression and Elevation. In severe cases of the conditions, you’ll need to see an orthopedic surgeon who will run a full assessment of the injured area. Depending on its severity, its size, and its location, surgery might be needed for correcting the tear. Preventing this injury might be difficult since it’s typically the result of an accident. But to reduce the risks, make sure to perform regular leg strengthening exercises to provide stability and support for the entirety of your lower body. You can also consider wearing knee protective gear or braces during sports that requires lots of cutting, like basketball, tennis, and the like. Also known as popliteal cycle, is a synovial fluid-filled swelling that causes a bulge and develops behind the knee. This condition is usually the result of an issue with the knee joint, mainly a cartilage tear or arthritis. In fact, Baker’s Cyst can be caused by nearly any cause of joint swelling. The condition typically manifests as pain and swelling behind the knee—right at the junction where the upper leg meets the lower leg. The pressure can also result in tenderness and pain—especially after running, and sometimes the area feels hot, or inflamed. This swelling might hinder full bending and straightening of the knee, leading to decreased movement. RICE the injured knee, and consider taking an anti-inflammatory drug to reduce pain and swelling. Also, be sure to reduce your mileage and re-adjust your training intensity accordingly. In severe cases of the condition, you might need to see an orthopedist to have the bursa removed. Stop running or reduce your mileage. Ice the injured knee three to four times per day. Compress the knee using straps, sleeves or an elastic bandage to keep the injured knee well supported and expedite recovery. Elevate the knee with a pillow under the heel while lying down or sitting to soothe pain and minimize the swelling. Take anti-inflammatory drugs, such as Naproxen and ibuprofen to reduce swelling and alleviate the pain. Rehab the injured knee by doing plenty of knee strengthening and stretching exercises. The above medical conditions cover most of the reasons for your knee pain when running. That said, if you suspect that your running knee pain is caused by something else, then be sure to see a certified physician for a thorough assessment. In the meantime, thank for you reading my post. Run strong and stay safe. Previous articleIs Cold-Weather Running Bad For You?